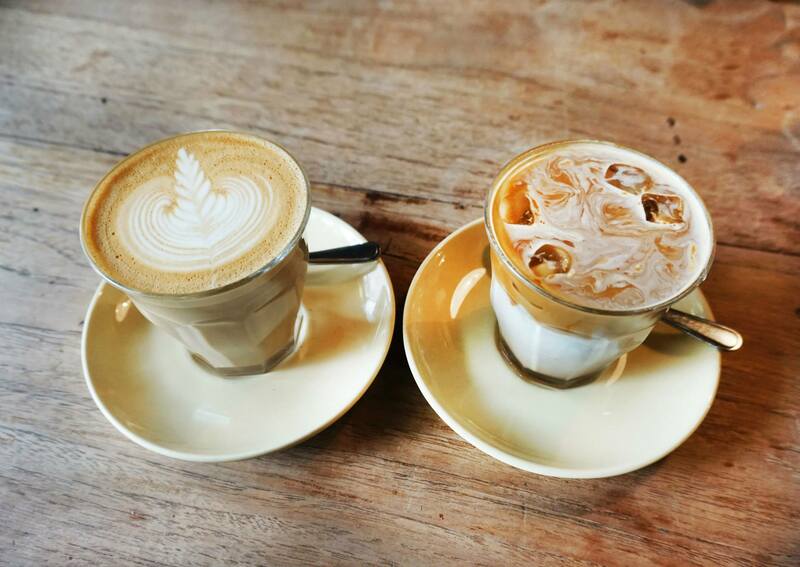 Our regular readers will know that we’re both huge fans of Newtown because of all the awesome eateries and cafes. Brewtown launched while Miss K and I were in Europe and because we started work immediately after returning it took us almost a year to finally visit Newtown again to scout this place out last week. As you can see above the big draw for us was finally being able to try the cronuts that they’re most well known for, while waiting for our table we noticed they sold dozens in less than 15-20 minutes. Pictured are the jam, passionfruit, chocolate, glazed and cinnamon flavoured cronuts which were available on the day. Although there were a few different flavours of cronuts available we decided to go with the glazed one and grab the others for takeaway. 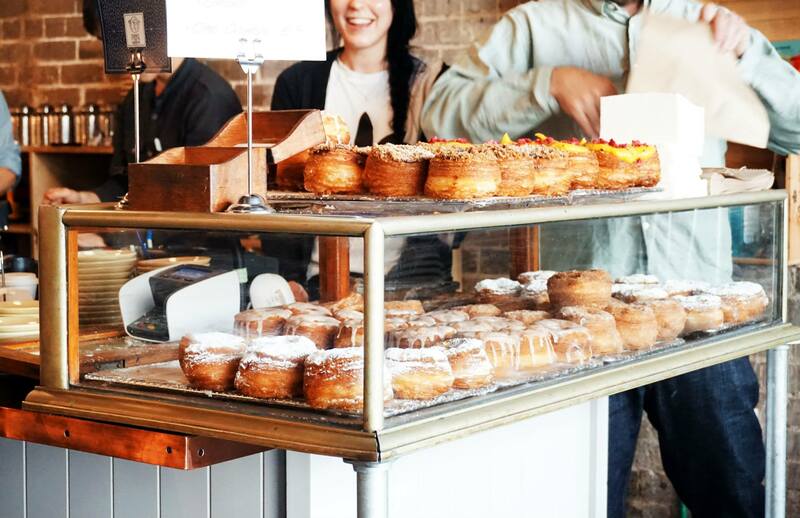 The cronuts are pretty self explanatory, they’re croissants and donuts merged into a single amazing pastry that almost melts in your mouth with every bite. 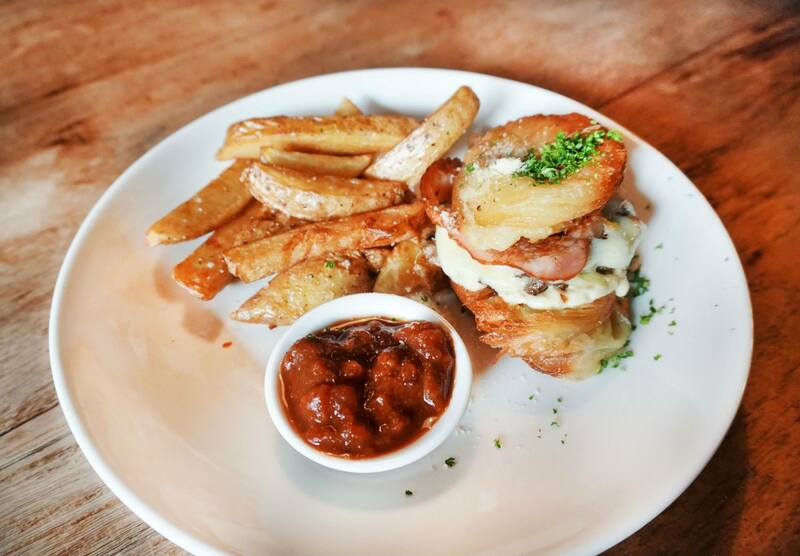 Going along with the whole cronut theme we decided to order the famous Elvis Burger which is a relatively standard burger plus the added twist of a cronut bun. As you can see the cronut is different to the sweet variation, it’s definitely more oily and is savoury rather than sweet. The burger fillings included a delicious beef patty, crispy bacon and tasty mayo served alongside some really tasty chips and a mystery relish which I believe was some kind of berry – because I bit into one! In an effort to balance out all the sweet pastries and fatty dishes we decided to grab this dish for a second main. 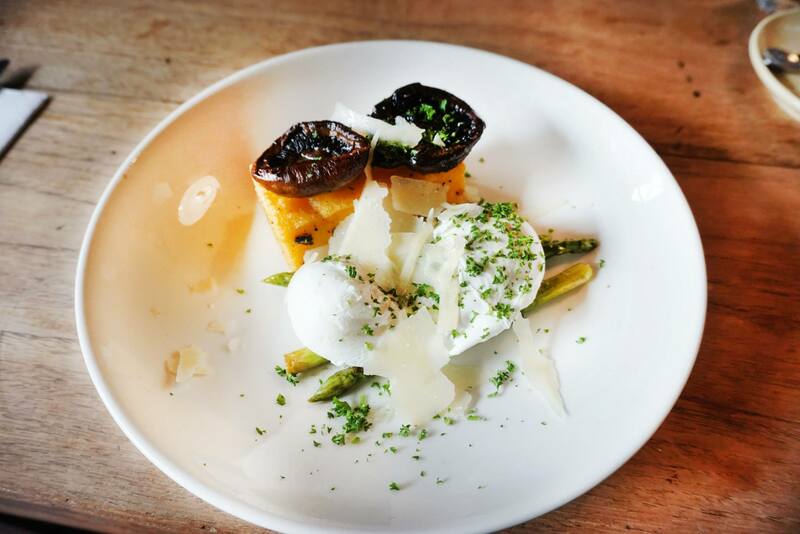 Baked polenta has always been something we enjoyed because it has an interesting texture and because it’s very filling, pretty much our perfect breakfast dish when combined with truffle oil, mushrooms and poached eggs! Ever since starting full time work I’ve somehow managed to turn myself into a coffee snob, Brewtown passes the test and I have to admit the iced coffee is pretty damn good and priced at only $3.5 which is the same as regular latte, most places tend to charge $5 or more for the same stuff (except cold!). Miss K and I are definitely loving all the new cafes sprouting up around town and I think we were lucky to have come on a rainy day when the crowds were quite tame, we only had to wait about 15 minutes which was reasonable considering we were hearing of one hour or more wait times back when they first launched. 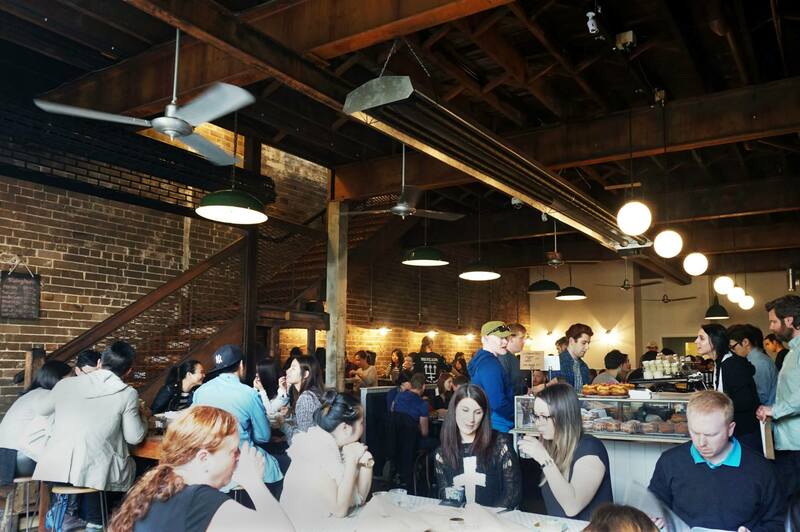 Menu prices range from around $5 for a cronut to $10-20 for the main dishes, reasonable value for a weekend brunch meal and make sure you grab a cronut on the way out! CK!!! Am now suuppper keeen beans to try that Elvis burger – looks amazing! O and that brewnut hahhaahah succha cute naaame! I’ve yet to make it to Brewtown. 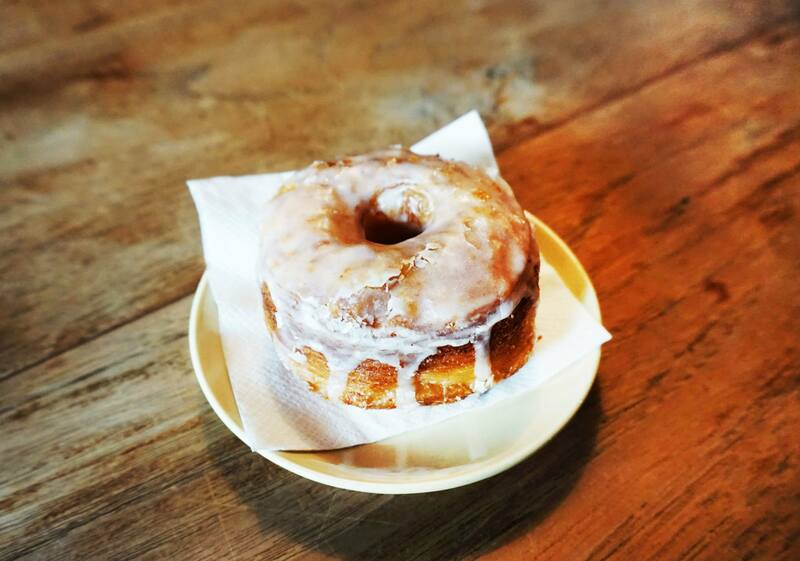 I’m such a doughnut and croissant purist – I just don’t know how I feel about the hybrid Cronut/Brewnut. I am so late to jump on the cronut wagon! The concept is pure genius. the baked polenta is one of my fave dishes there. still haven’t tried the elvis burger yet though but prob will very soon. im dying to try the elvis burger! !